If using keyboard shortcuts is not your forté but you spend a lot of time working in workhorse applications like Photoshop, GarageBand, Pages or Word, Numbers, Adobe InDesign, iMovie, or PowerPoint, or you simply want a faster way to execute menu items on your computer, you might want to check an app called Actions for iPad ($3.99). Actions enables you to set up commands to control your Mac or Windows PC from your iPad. It works in similar fashion to Keyboard Maestro Automate Everything On Your Mac with Keyboard Maestro [Mac] Automate Everything On Your Mac with Keyboard Maestro [Mac] I've written several articles about Mac automation, including a MUO Automation Guide on how to get started with Apple's Automator and the built-in OS X features for creating smart folders, playlists, albums, and mailboxes. But... Read More , an automator application I recently reviewed. Actions is like having a personalised menu on your iPad which can be used to access a variety of individual commands, like opening and closing windows, zooming in and out on a webpage, controlling media playback, navigating via web browsers, or when creating new documents — basically any menu bar item for an application can be executed in Actions. Though Actions for iPad does require some setup to get started, its user interface is very well designed, especially for an automation application. 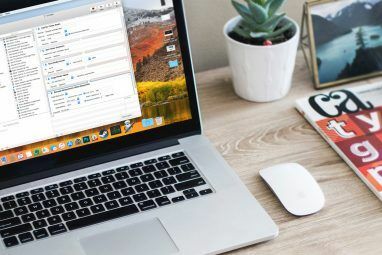 Actions is sort of like Automator 9 Automator Apps You Can Create in Under 5 Minutes 9 Automator Apps You Can Create in Under 5 Minutes Using Automator on your Mac lets you make quick work of boring tasks. Here are a few simple workflows you can create in minutes. Read More , but it’s ten times more attractive. The main palette of Actions consists of multicolor buttons with professionally designed icons that send assigned commands to your computer. Tapping on an action is like clicking on a menu bar item or issuing a keyboard shortcut command. You can divide the Actions palette into different presets, one for each of your most used applications, including the Finder. When you switch to a preset application in Actions, that application will automatically come to the forefront on your Mac or PC. Likewise, when you switch to a different preset application on your computer, it will automatically switch to the corresponding preset on Actions, so you can start using the preset commands. Actions also includes universal finger gestures on the iPad for copying and pasting text and images, and for undoing and redoing actions on your computer. I must admit I didn’t find Actions easy to set up at first. To get started, you will need to download and install the Mac or PC client for Actions. Next open Actions on your iPad and the client on your computer, and pair them over your network. This part of the setup is easy enough and the app walks you through the process. I believe the Actions app for iPad comes installed with a preset application for controlling iTunes, but you still will need to take some time to set up personalized presets for your own computer. If you overlook the tutorial when first opening Actions, you can re-open it by tapping on the tiny “i” icon on the top-left of Actions, accessed by swiping down on the palette with three fingers. The resulting page will explain the four main buttons to create or load presets, and edit actions in the app. Fortunately, Actions comes installed with presets for a wide variety of applications including Adobe Photoshop and Lightroom, Chrome and Safari, iMovie, Word, Windows Vista and XP, and Garageband. Tap the pencil icon in the top-right to create a new preset or load the preset application. When the Create new preset button is tapped Actions will load all of the supporting applications on your computer. You can then scroll and select the one you want to load – iPhoto An Easy Guide To Understanding The Image Editing Process In iPhoto '11 [Mac] An Easy Guide To Understanding The Image Editing Process In iPhoto '11 [Mac] Read More for instance. Type a label for the set and then tap on the tick confirmation icon on the top-right side. After the new set or application is created, tap on the confirmation button again, and then tap the Load button, which presents all the applications that include default preset commands in Actions. Next, tap the confirmation button, and Actions will load your selection of actions for iPhoto. You can re-arrange the actions on the palette, and when you’re done, tap the confirmation button to save those actions. Notice that you can always edit or load more actions for the application set by tapping on the edit icon. You can also tap the edit button, and then tap on an individual action to edit and change the color of a button, or add or change its icon or name. Though Actions has over 900 pre-installed actions and commands, there will be applications in which you will have to create actions from scratch. So for instance, since Actions doesn’t have preset actions for the text editor, MarsEdit, they will need to be manually created. To do this, tap on the Edit button, followed by the Create button. 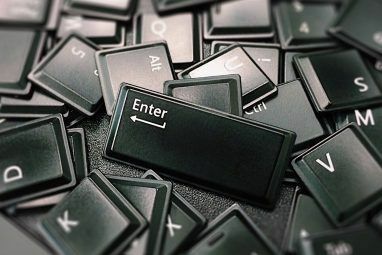 Actions are created based on keyboard shortcuts. To create a Paste Link action, for example, I tap on the key command buttons in Actions that match the keyboard shortcut for that menu item in MarsEdit. You can apply a color and icon to represent that action and after tapping the confirmation button, it’s good to go. With Actions open and setting next to my keyboard, I can tap on actions as I write articles in MarsEdit. The above instructions I’ve given for Actions cover just its basic features. You will have to spend some time to learn all that the app has to offer. The developers probably should create a set of video tutorials for those who are new to automation applications like this. Is Actions for iPad a highly productive app? 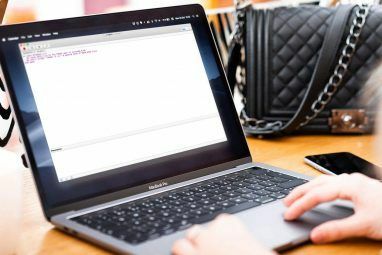 Well, it depends on your workflow and whether or not you think it would be faster to issue commands from your iPad’s screen rather than using lots of keyboard shortcuts. I think you do get a lot of functionality for the small price of the app, but as ever let us know what you think of Actions in the comments, below. I love this concept - ipad controlling my pc applications. Yes there will be a learning curve but I think it will be so worth it. I am passing this info onto many of my friends.